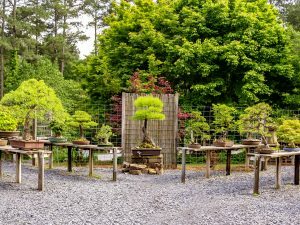 Rodney Clemons visits Smith-Gilbert Gardens on the 2nd Saturday of each month (some exceptions as noted on the events calendar) to oversee, evaluate, care for, and prune the Gardens’ bonsai collection. Along with a small group of well-trained and very experienced volunteers, Rodney provides expert care in all aspects of maintaining the collection. Visitors are welcome to ask questions and talk with Rodney and the volunteers to learn more about this ancient art. 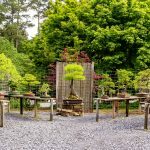 If you’re interested in learning more about bonsai, please plan a visit on the 2nd Saturday.